Carnival is one of the largest, most popular cruise line in the world. Known as the Fun Ships, it offers a variety of dining, entertainment and activities to suit any taste. Its 24 Fun Ships, which constitute the newest, most modern fleet at sea, sail for 2 to 17 days throughout the world on a choice that no other line can match. Carnival mostly caters to the younger generation and families. 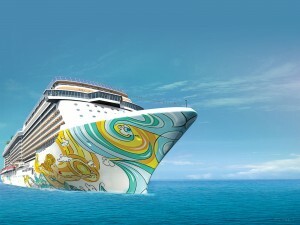 Norwegian cruise line ships are classy and comfortable sailing under the “Freestyle Cruising” concept, which offers a more relaxed, resort-style cruise with greater flexibility and high standards, non-intrusive service. NCL has more than 100 cruise itineraries, ranging from 3 to 23 days across the globe. Known for its 7 day sailing in Hawaii, NCL mixes a good value to those seeking a mid range cruise. Royal Caribbean largest cruise fleet, known for it’s beautiful fleet of 25 ships, Royal Caribbean incorporates a variety of innovative features, such as an ice skating rink, Flow rider® ripcord by ifly®. Often described as mass with class, the line caters to honeymooners, families, and first time cruises offering a range of 125 destinations and worldwide itineraries ranging from 3 to 24 nights. Celebrity Cruise lines consistently recognized for five-and six-star rankings as the highest rated premium cruise line with a taste of luxury. It is committed to innovative design, spacious accommodations, and impeccable service. Slightly more upscale than mass market, it’s 12 ship fleet featuring the new Azamara ships, is the youngest of any major line with voyages throughout the world. Princess Cruise, which sails to more worldwide cruise destinations than any other major line, ranks as one of the top cruise lines in the mass market. Comparable in size to other recently built vessels, its ships carry significantly fewer passengers. With 16 ships in the fleet it’s a classy, but not pretentious ambiance resonates throughout all it vessels even the newest 2014 Regal Princess and the original love Boat. Princess is the line that gives you, big ship with a small ship feel. Holland America is consistently named the Best Overall Cruise Value by members of the World Ocean and Cruise Liner Society. Holland America Line is a traditional line that attracts people who love the low-key, refined service of yesteryear. Sailing the world, Holland America Line delivers consistent quality highlighted by more space per guest in public areas and staterooms than any other premium cruise line.